Willa: This week Lisha McDuff and I are so honored to be joined by Brad Sundberg, who worked with Michael Jackson for nearly two decades. He served as Technical Director on the Bad, Dangerous, and HIStory albums, and helped design the sound system at Neverland. While working on Bad, Michael Jackson gave him the nickname Really, Really Brad, as in “I’m Brad, I’m Brad, I’m Really, Really Brad.” That cracks me up! NOTE: I need to start this post off by saying it was months and months ago that I approached Brad Sundberg to bring his seminar to Toronto, it was just a “Pie in the Sky” dream and never in a million years did I think it would happen. Brad let me know what we needed to do and connected me with another MJ fan who was interested in making it happen as well. We contacted each other and the rest is history. We made it happen because it was so important to us. That being said, it was worth every tweet, every post, every email, every poster we taped to trees and cement posts to get the information that Brad has stored away in his head, on audio on video, etc. Thank you Brad for making our dream come true. Michael Jackson was definitely in the building! 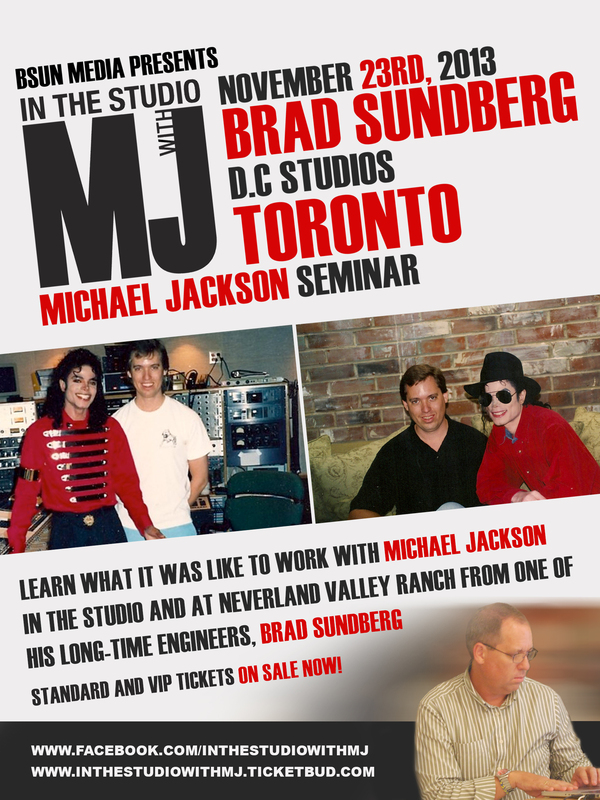 On November 23, 2013 in D.C. Studios in Toronto, Canada, Brad Sundberg brought his fantastic seminar “In the Studio with MJ” to our fair city on a cold and snowy day. Brad is a remarkably kind, generous, and humble man. He greeted and introduced himself to every attendee as they walked in (he would step away from setting up his equipment just to come over and shake hands) and I know all of us were pleasantly surprised by the gesture. To our great surprise, we also had the incredible honour of having Joe Vogel attend the seminar driving all the way from Rochester, New York. An added bonus for us all. He, too, is a very kind and humble man and very happy to accommodate all the fans. Joe seemed to just enjoy the music and insights that Brad was offering and every so often Brad would ask “Is this your take on it Joe?”, it was usually a “yes, that’s right”. Joe was there to learn and listen just like the rest of us. 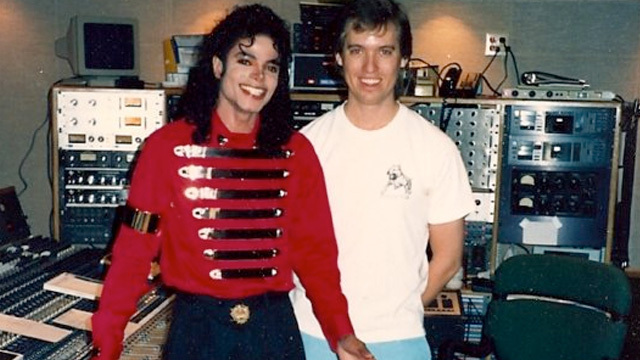 In 1985, Brad got his first job as a “runner” at his first music studio and met Michael Jackson while he was working on Captain EO, the first true surround sound movie. He would see him walking down the halls while he was getting coffee, cheeseburgers, vacuuming and even holding Bubbles. He did anything he could to get himself into the music industry, something he always loved. He was a 19-year-old who wanted to get into the business and was dying to make his mark. He got that chance when he grew from being a runner to an engineer. Bruce Swedien was Michael’s primary engineer and with the approval of Michael, Bruce invited Brad to sit in on the “Bad” recording sessions. As Brad says, “I was still learning my way around the studio, and it was an honour to be asked to sit in and watch, learn and help on the “Bad” album”. 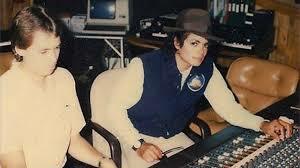 The business relationship between Michael and Brad changed when Michael brought a book about the Sycamore Valley Ranch to the studio during the recording of Bad and MJ later hired Brad to do some sound technical work at Neverland. There were no birds at Neverland so Michael wanted the sound of birds, chirping and tweeting piped into the grounds. Brad was also asked to pipe music into every single ride and every corner of the ranch, even in the train. There was music everywhere but never Michael’s, as he insisted it not be his. It was classical or Disney songs and occasionally on the carousel, Childhood would play. The Zipper, Michael’s favourite ride, was his sister’s Janet’s music, particularly “Black Cat” and “Rhythm Nation”… two songs Michael loved. Brad ended up working with Michael for 18 years and assisted on four studio albums “Bad”, “Dangerous”, “HIStory”, and “Blood On The Dance Floor.” Brad’s overall responsibility in the years with Michael was to have whatever recording studio Michael was working in to be up to Michael Jackson quality. Ever microphone, every patch-point, every machine and device in the studio had to tested and, if possible, calibrated to perfection. 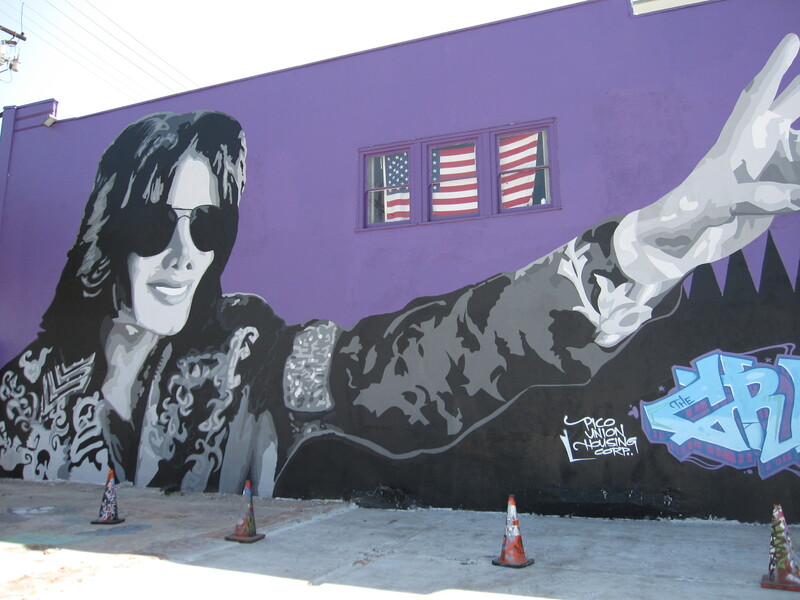 His involvement also included the involved in day-to-day recording, setting up microphones, headphones, booking studios, keeping tapes organized, getting Michael’s hot water ready for his vocals, even making coffee and even cleaning off jheri curl substance from microphone. Scared of the Moon: Matt Forger and others had worked on the beautiful and mysterious song “Scared Of the Moon” for a very long time. Unfortunately for Matt, Michael asked for the original master with Michael’s voice so he could work on it. He gave him the original and kept the cassette, which were used at the time. The problem was “you never give anything to MJ, pens, papers, ANYTHING because you would never see it again,” says Brad. One day, Matt Forger got a phone call from Bruce Swedien and Michael asking to bring that original master of “Scared of the Moon” over to the studio so they could work on it. Unfortunately, because Matt had given it to Michael, he had to do something that should never be done and rarely ever works: he transferred the cassette to a master and then mixed it. Brad could never understand how it sounded so fantastic due to the way it was mixed. He personally feels it was Michael’s voice that makes it work and sounds so wonderful to this day. Give In To Me: Brad presented us with Michael’s true creative process when he turned off all the lights in the studio. Brad believes that you must listen to any music in the dark, that way you have no distractions, you only listen and let the music take you away. Nothing could be more true when he turned on the audio of Michael, Brad and Bill Bottrell in a jam session creating “Give in to Me”. It started by Michael just talking with Bill while Brad played a simple programmed drum beat. Bill played while MJ began to ad lib, beat box, make some sounds and then slowly, because it took around 3 hours, you could hear these sounds morphing into this incredible song. You could hear it change and develop and we could feel Michael’s process flow through the room. This to me was one of the highlights of the seminar and something that will be forever cherished. To actually hear Michael create a song from just a programmed drum beat and a guitar was a dream come true. Michael always said “ Magic is created in the moment”and this proved it. Childhood: A visual that Brad shared with us was the Andrae Crouch Choir warming up with a beautiful gospel song. Michael was listening in and smiling as they were singing in pitch perfect voices. Later on we saw Michael recording “Childhood” while the New York Philharmonic accompanied him in the studio. While singing this biographical song in this very small recording room, Michael had a look of pure joy on his face, because he knew he was “nailing it” and it showed in every movement he made, every note he sang, and a smile that was indescribable. You could see this song meant everything to him. While watching him sing you could see him take a breath and annunciate every single word…his face was perfect, never contorting, as you see some do when they hit a particular note, as it was so easy for him. When he finished, he clenched his fists and with complete excitement and release, muttered “yes”, walked out of the booth and the lights came on. It is said that the orchestra rose and gave him a standing ovation. I could see why. Some very beautiful raw tracks of Michael’s work that were recorded before the release of the original songs were ever heard. These tracks sound much different in the studio than the final commercial tracks. To keep the “up/pop tempo”, these original tracks were sped up before ever being released. When hearing the original track, Michael’s voice was deeper, richer, and much more soulful than the commercial versions. They were incredible to listen to. “I never made a pitch correction on Michael’s voice on the songs he worked on” Brad admitted. A testament to MJ’s beautiful voice and hard work as well as his true genius. It is something people tend to underestimate, the power and perfection of Michael’s pitch and the preparation he took to make that happen. Michael always had Cherry Chapstick lying around and he used it all the time. One day, Brad was driving to do some work at Neverland. He stopped by a 7-Eleven to purchase a few things and picked up a 3 pack of Cherry Chapstick. As he drove into Neverland, Michael was driving up on a golf cart towards him. They greeted each other and Brad said, “I have something for you Michael” and Michael replied with childlike excitement “What is it, What is it?! Brad handed him the Chapstick and said “Here you go Michael!”. Brad said he will never forget how appreciative he was. Michael said, “Brad, no one has ever done anything like this for me before, thank you so much”. It was only a $2.00 purchase but Michael was always so grateful for everything. Brad choked up while relaying this story and had us all in tears. This was Michael Jackson. Amid the trials and the hate that sometimes occur around Michael, I felt a beautiful calm and love in every song that Brad played. It made me realize what Michael really wanted us all to know: it was his music that mattered, the integrity of it, the message of it, the magic he could create. Something happened to me in that seminar listening to that music, his spoken word, hearing his laughter and the personal stories and pictures that Brad shared, and I am so blessed to have been there. Thank you Brad for bringing Michael to us, even for a short time, and allowing us that sensitivity and heartfelt compassion that he had in everything he did. Anyone that has a chance to see one of Brad’s seminars will be more than moved and grateful that they went. It is something that you will cherish for a lifetime. 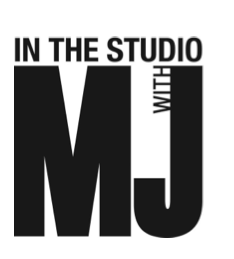 What is written above is only a small portion of what goes on in “In The Studio With MJ”. 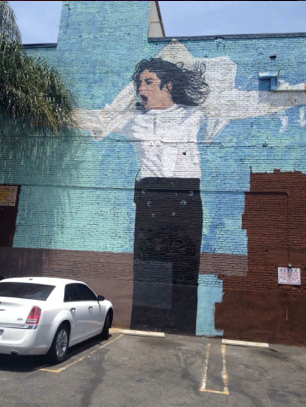 Go, be amazed and bask in Michael Jackson. 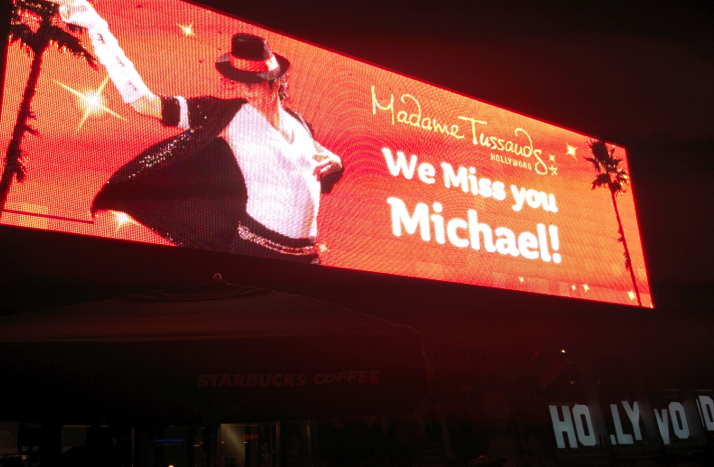 NOTE: Special thanks to @Coleen4MJ for her additional input into this article. 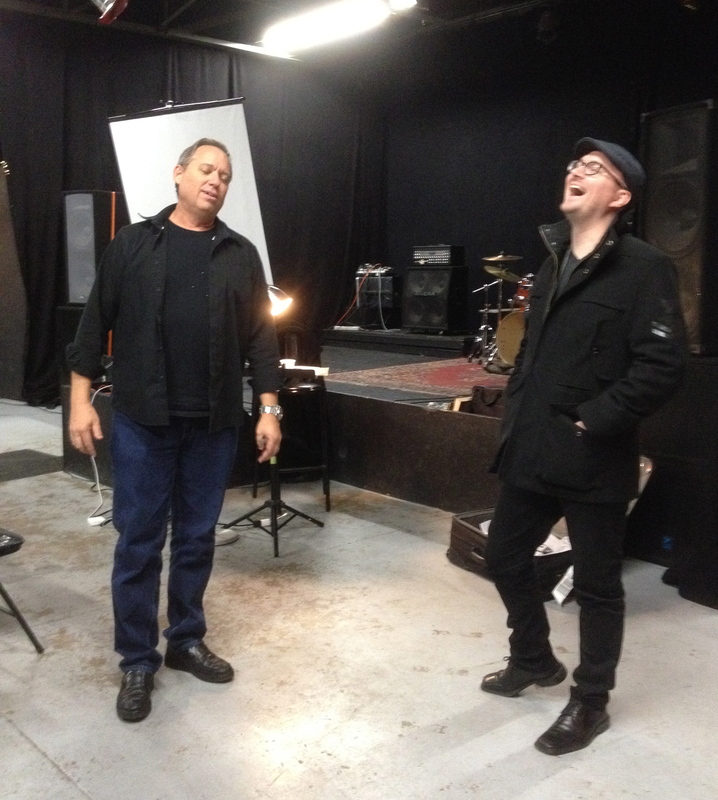 We are just three weeks away from my seminar “In The Studio With MJ” comes to Canada! Many of you have worked very hard to get us to this point, and some of you are still wondering what it is. Either way, I’m glad you have given up a Saturday to spend time in a really cool music studio with me. 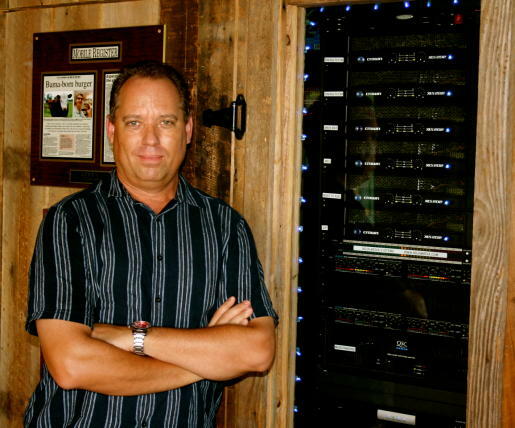 First things first: I am Brad Sundberg, your host and the creator of “In The Studio With MJ.” I spent nearly 18 years working on various projects, albums, tours and even a place called “Neverland” with Michael. I part of an awesome team, and it is my pleasure to share some of those stories with you. We just got back from a series of seminars in Paris and Stockholm, and the response was amazing. I have every belief you are going to really enjoy what I have in store for you. There will be some ground rules that will be strictly enforced (no phones, computers, electronic recording devices, costumes, etc. ), but we’ll go into those as the event gets closer. In the meantime, I really need your help. I have done enough of these that something always happens the week after it is over: People find out about it and wish they had been invited or heard about it so they could attend. We have to get the word out to the community. 1) Post a link on Facebook, and tell your friends that you are excited to be going. 2) Contact me for posters and the press release. Send it out to newspapers, radio stations, fan clubs, dance studios, music stores, churches – anywhere that you can think might connect with someone who would also enjoy this event. 3) Send tweets, emails and phone calls. I can assure you this is a very unique opportunity to see, hear and feel what it was like to be in the studio with MJ, and you will want to share that with your friends. If you come up with a great marketing idea, I will certainly reward you with a Tee-shirt and a front-row seat! I will be contacting you again in the coming days, and please feel free to contact me with any questions. This is like nothing you have ever seen or heard before, and I so excited to share it with you! Have a great weekend, and I’ll see you “In The Studio” in three weeks! Hey Toronto, I have not forgotten about you! We have seminars in place in Orlando, Paris, Stockholm… and then you! I am working on studio locations, etc., but the wheels are moving. I know it is still many weeks out, but we need to sell enough tickets to book travel, hotel, studio, etc. Please continue to tell your friends that this will be THE place to be for MJ fans, music fans and those curious about the recording industry on November 23rd. Here is a post I put on my Orlando page, but I thought you might enjoy it. Have a great weekend! 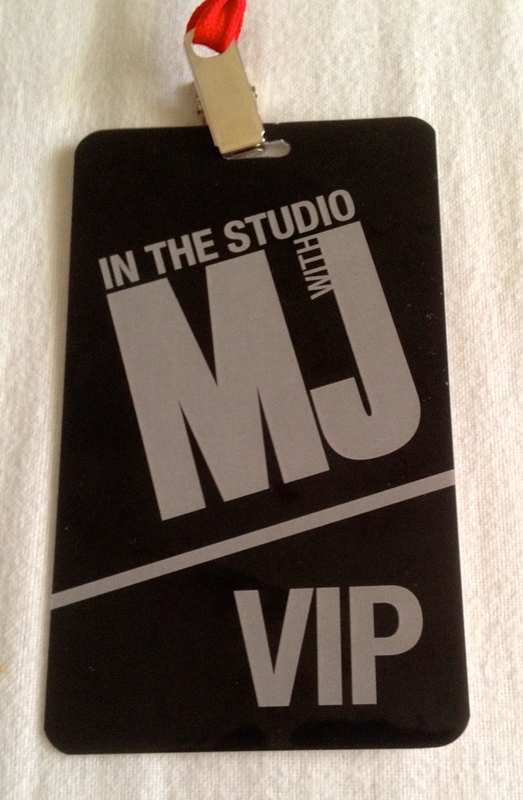 Hey Orlando, we are just 15 days away from “In The Studio With MJ” at Starke Lake Studios! This will likely be the last stop in the US before we pack the show up and head to Paris in October. So let me tell you about this photo and note. 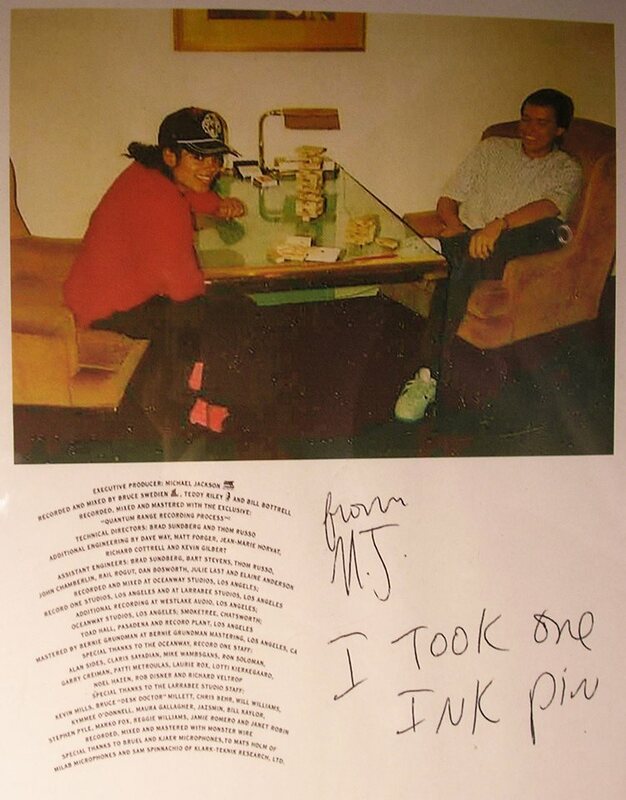 Many of you have already seen the photo of Michael and I playing Jenga (I won), but the note is kind of cool. Michael was never known for his spelling, but he was amazingly honest. One evening during the Dangerous project he went up to the front desk at Record One, and our runner/resident comedian Rob Disner was out getting food or something. Michael needed a pen, just a simple 5-cent ink pen. So he takes one, but leaves Rob this note. How cool is that? Michael was at the top of his game, making a new album, prepping for the next tour, building Neverland, writing songs, etc., but he writes a note about taking a pen. Rob kept it and has it framed in his house, which I think is awesome. More stories, music, video and “Family Friday Dinner” in Toronto on November 23. Will You Be There? 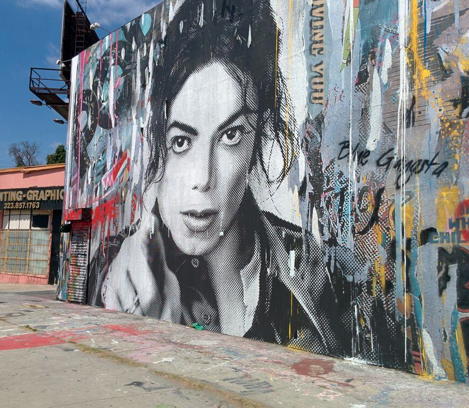 Stop Global Airwave Abuse is overjoyed that Brad Sundberg has confirmed that November 23, 2013 is the day he will bring his seminar “In the Studio with Michael Jackson” to Toronto, Canada. This is a once in a lifetime experience to learn first-hand what went on behind the scenes in the studio and the work Brad did on Michael’s beloved Neverland. We require 50 people to make this happen so please purchase your tickets as soon as possible. You can buy them through Brad’s site here. There are two selections: General Admission from 12:00 pm to 5 pm for US $179.00 where you can “Enjoy the music, video, photos and stories as Brad shares from his many years of working with Michael in the studio and at Neverland”. VIP Extended Admission and Dinner from 12:00pm to 7pm for US $249.00. “Family Friday” dinner will be served and shared as a group and more music and stories will be shared. The Studio will be announced very shortly since Brad is scouting around Toronto for the best possible studio venue he can find. NOTE: Space is limited so purchase your tickets as soon as possible so you won’t be disappointed. So far this is his only visit to Canada. This is a once in a lifetime opportunity and Stop Global Airwave Abuse is happy to promote Brad’s seminar coming to Toronto, Canada hopefully sometime toward the end of November 2013. Currently close to 50 people have taken an interest in this remarkable seminar and we are hoping to be able to obtain another 50 so Brad can do a seminar for a second night. We need people to commit to make this become a reality. The cost would be approximately $200.00 per person (less if we can get 100 people) and for any interested parties a special VIP promotion (dinner with Brad) for an extra $50 to $60 where you could have a chance to talk with Brad in a more intimate setting. Please check out the Facebook Page and add your name to the list. 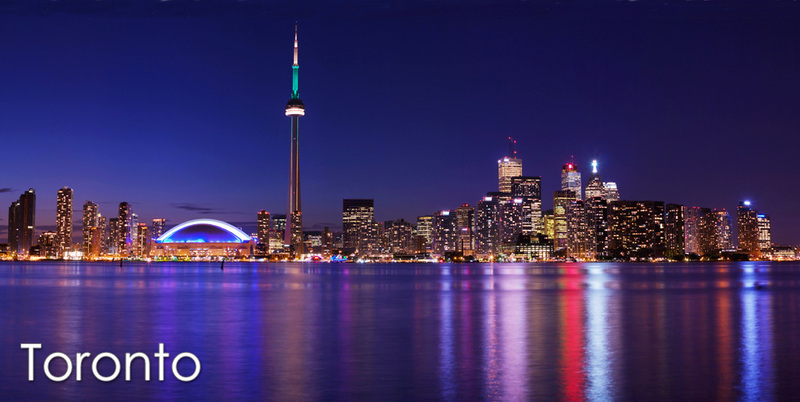 Toronto is a fantastic city and the largest in Canada, it is a tourist mecca with much to see and do. We are inviting all MJ and music fans in all Provinces and all States to join us and take advantage of this wonderful piece of Michael that only Brad can share. Please visit Brad’s “In the Studio With Michael Jackson” FB page for more information on the seminar and what it entails. We encourage MJ fans to come join us on this magical tour of the working of his studio, the beauty of his music and Brad’s personal insight into many of his albums, vocals and professionalism. You are currently browsing the archives for the In the Studio with MJ category.